The actor put down six figures to pay off his 2011 tax lien, but still has a long way to go before he's totally off the hook. 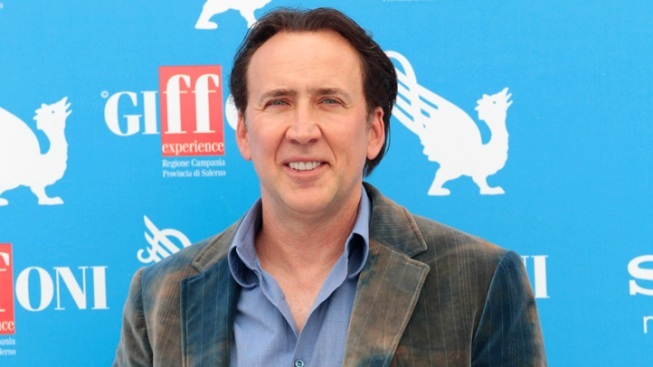 Nicolas Cage, pictured here at the 2012 Giffoni Film Festival photocall in Italy, still owes the IRS about $6 million. The good news: Nicolas Cage is trying to chip away at his huge tax debt, and E! News confirms that he recently put down $600,000 to help pay off his tax lien. The bad news: He still owes the IRS about $6 million. Ouch! It may seem like a lot of cash to pay up (well, because it is), but that's a long way from where the actor started. In April, Cage plunked down $6.25 million to help pay off the massive back taxes he owed the IRS, according to documents obtained by E! News. The payment covered taxes owed on his 2007 earnings. However, in 2010 he told People that he owed $14 million in back taxes, which meant that even after paying over $6 million, the "Ghost Rider" star had about $7 million more to go at the time. Baby steps, people. Six-figure baby steps.